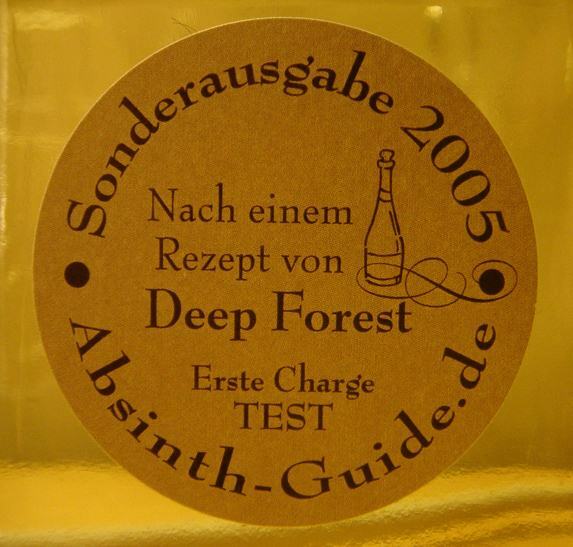 This is also known as the "Absinth-Guide.de Sonderausgabe 2005" - the winner of the 2005 HG competition at Absinth-Guide.de. 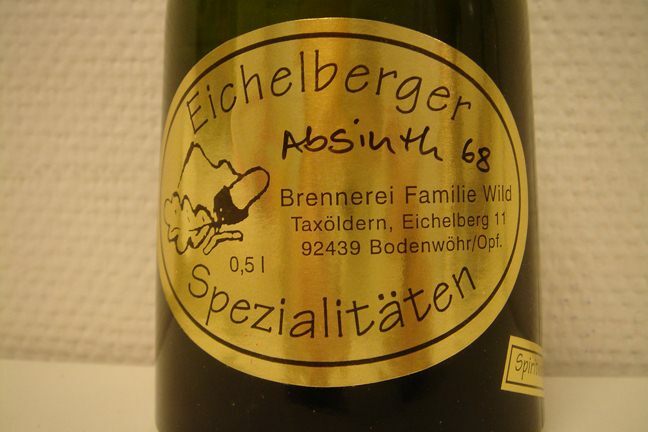 Made by Deep Forest, a member of that German forum (and also of other international forums...) and then realized in slightly larger scale at the Eichelberger distillery. 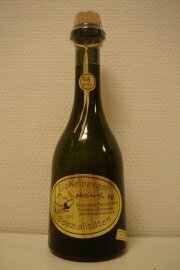 The winner of the competition got to distill 30 liters and with the chance to make it a commercial offering. Given the quality of this one, I am very much looking forward to seeing this in large scale production. Now, the tasting... 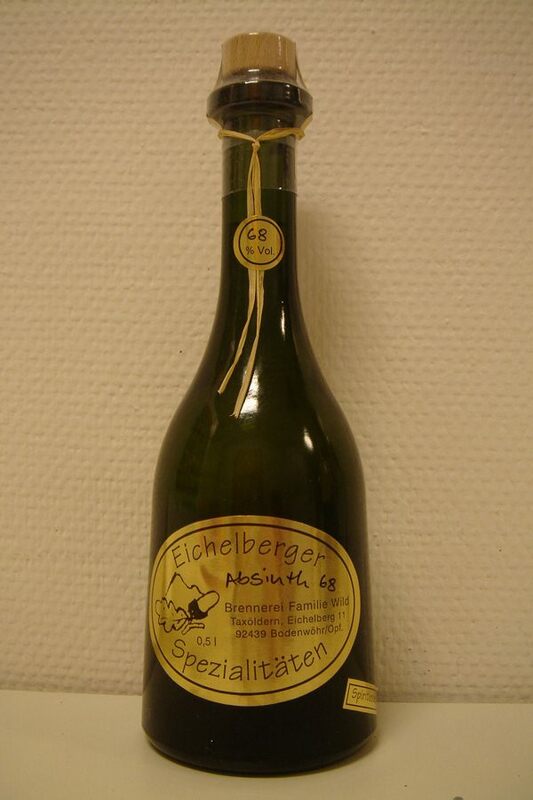 Upon opening the bottle there is immediately a nice floral scent lingering it's way out. 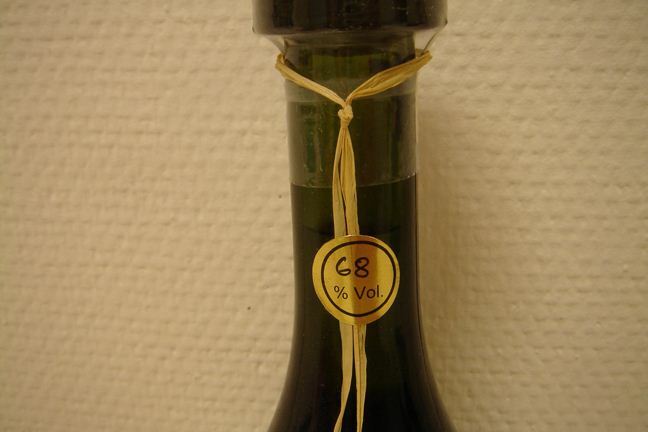 One can clearly notice the very nice scent of wormwood and a fine citrusy note to accompany it. The anise and fennel is there but not as dominant as in many others. Slowly adding iced water to it it produces a very nice slow rising louche to finally end up completely cloudy with a fine light green color. The water helps the aroma even further and the citrus notes are even more noticeable now. Heavy, but in no way obtrusive or disturbing. Instead it literally does make my mouth water. The taste is really smooth and well balanced and even though the aroma would suggest a heavy citrus taste, that is not the case. On the contrary it tastes more traditional than I would expect but very well carried out and with just that little extra something to make it more interesting. The only thing I would want to be a bit different in it is the color. I like it a lot and there is no big problem at all with it but it would be really nice to see it just a bit greener - a little tiny step away from that olive-tinted-green that so many absinthes have. But, as I said - that isn't really a problem and just my personal opinion. I understand why this one won, definitely. It's very very nice! 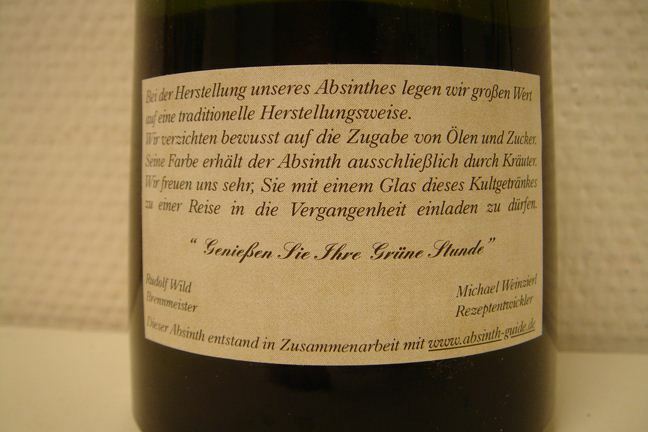 Once this is made commercially available on full scale (which I know is happening), it will be the first modern distilled German absinthe! 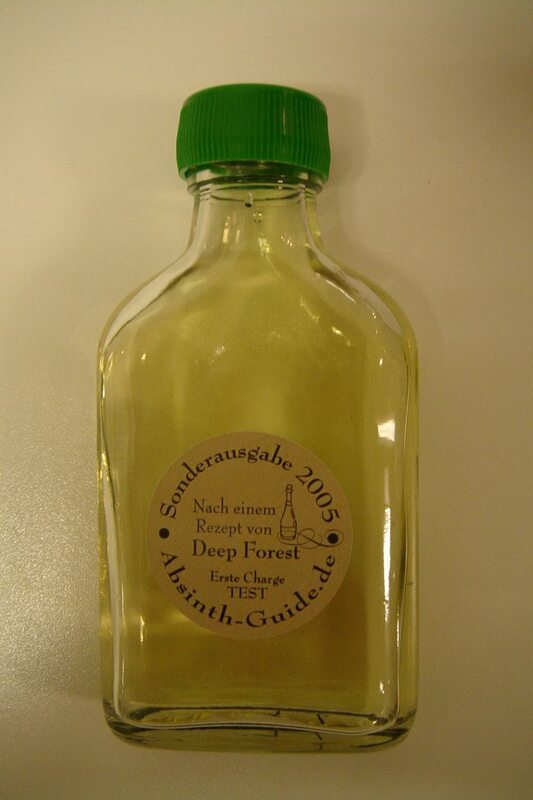 Congratulations Deep Forest - this is a winner.